As the air gets crisp and the holidays are approaching, do you find yourself wishing for the cozy ambiance that a fireplace brings? 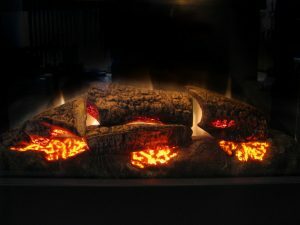 Do you have a fireplace that you rarely use due to the hassle of hauling wood and shoveling ashes? If so, consider having gas logs installed in your fireplace. Gas logs in Greensboro have many advantages over wood burning fireplaces. If you want to have the warmth and the beauty of a fireplace without the work, a set of gas logs will make that possible. Once your gas logs are installed, the work ends there. You can have instant flames at the flip of a switch. No need to haul wood inside and painstakingly coax a flame into existence. Skip the shoveling and sweeping of ashes afterwards. And it’s time to let your chimney sweep go; you will no longer be needing his services. If the hassle of building a wood fire is more than you wish to undertake, a gas log fireplace is your solution. Whether your gas logs are fueled by natural gas or propane, they will burn cleaner than wood. Natural gas and propane are both non-toxic, clean burning fuels. The small amount of carbon monoxide that is produced is vented outside through the flue, but there is no smoke. Wood smoke is a respiratory and eye irritant. As safe as your fireplace may be, there is always a chance that a spark or ember could escape and cause a fire in your home. A wood fire must always be watched and tended to in order to keep it burning safely. A gas log fire is much safer as it is contained within the confines of the fireplace and can be turned off instantly if necessary. One of the biggest problems with a wood burning fireplace is wood storage. Stacking wood against your house can invite pests like termites, spiders, snakes, and rats. It also must be kept dry in order to burn properly without producing too much smoke. Unless you have a wooded lot with your own source of wood for burning, purchasing firewood can get pricey. Gas and propane are actually less expensive than wood. If we’ve sold you on the merits of gas logs in Greensboro, you can have yours installed before the coldest months. When the air gets chilly and you need a little extra warmth, gas logs are a painless way to achieve a toasty, glowing atmosphere. At Berico we have a showroom that allows you to view different gas log options to find the one that will work and look best in your home. Request a call or call us at 336-496-2509 to get more information on gas log options and gas log maintenance in Greensboro. For added safety security Berico has an annual service plan where we will come out and clean, light the pilot, and check the logs every year.